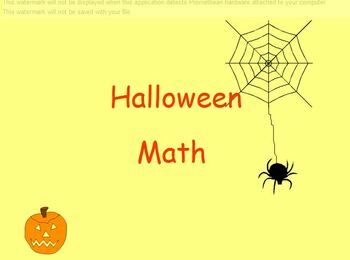 Students will be amazed when they see how magically the math fact answers appear when they hover the special Halloween characters over the facts to reveal the answers. Flipchart page one is title page. Flipchart page two is a wicked witch with her math cauldrons. 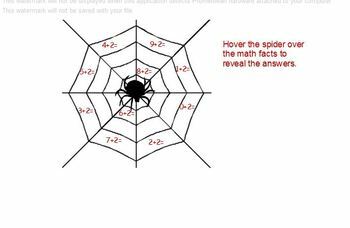 Flipchart page three is a creepy spider with math facts tangled in his web. 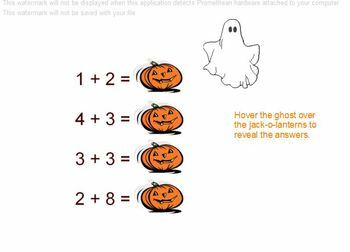 Flipchart page four is a spooky ghost that uncovers the answers hidden behind tricky jack-o-lanterns. Flipchart page five is credits page. Enjoy using these flipcharts as a fun whole group activity or use it in a math center which allows the students to interact with the technology on their own. Check back for Christmas hide and reveals coming soon!